I get asked a lot what is Bike/Run Fitness, and I always get the question don’t I just bike to get ready for bike season? Or I don’t run I don’t want to take the class. So I figured I would explain to everyone the benefits and what Bike/Run Fitness entails. This class is an 8-week progressive class. The goal is to balance out the body, prevent injury and help increase performance in biking and running. The goal is that when you go running for the first time for the season or biking, you will feel balanced and strong! As always, you definitely need to do your sport as well to get strong and better at it. 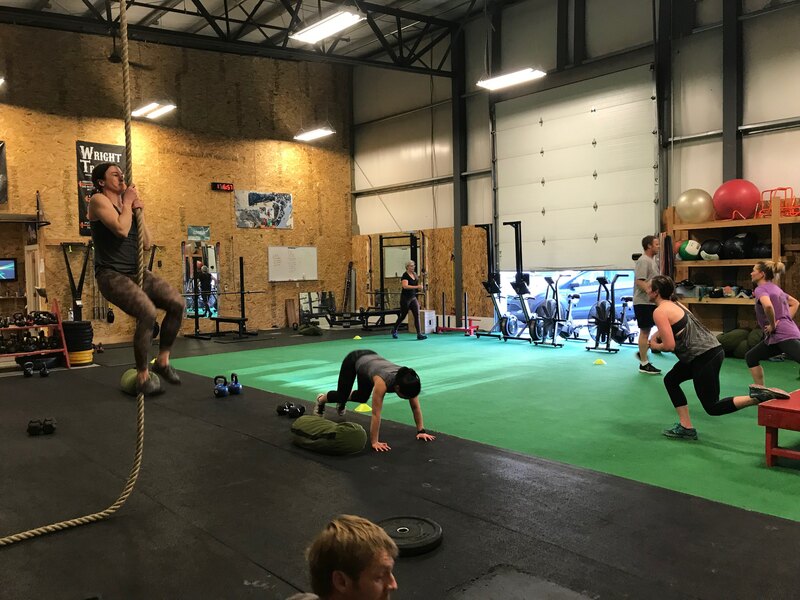 The problem is when we only Bike/Run all the time, or jump right into biking after ski season, we are usually weak in certain areas, such as our core and upper body. This class will work on overall strength through the core, upper body, hamstrings, and glutes. We will also focus on stamina and work capacity hits in relation to biking and running. Why not use your whole body instead of compensating? This is what this class will teach you to do. Even if you do not bike or run, this class will not hurt you – it will only make you stronger. We have lots of class times available. Check out class schedule here. This is a teaser of Day 1 of Bike/Fit! We focus on back squats during this time to focus on posterior chain strength. We’ll also be working on the upper back, lower back and lots of core work!